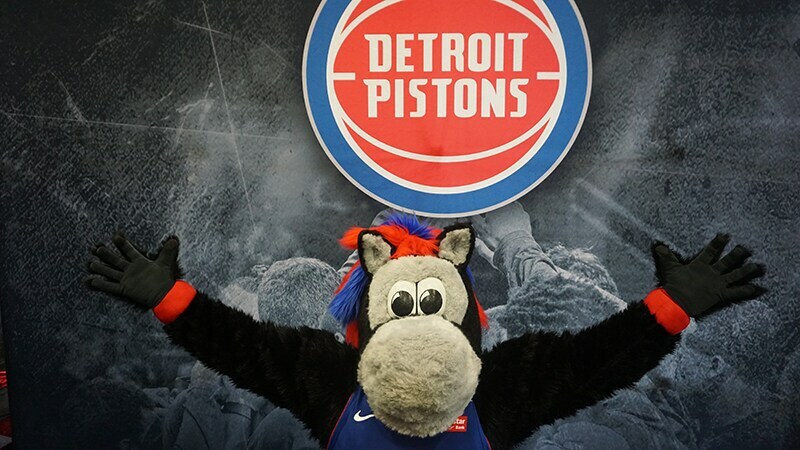 This crazy horse has been with the Pistons since 1996 when the Pistons adopted him because of his excitement and refusal to leave the building. 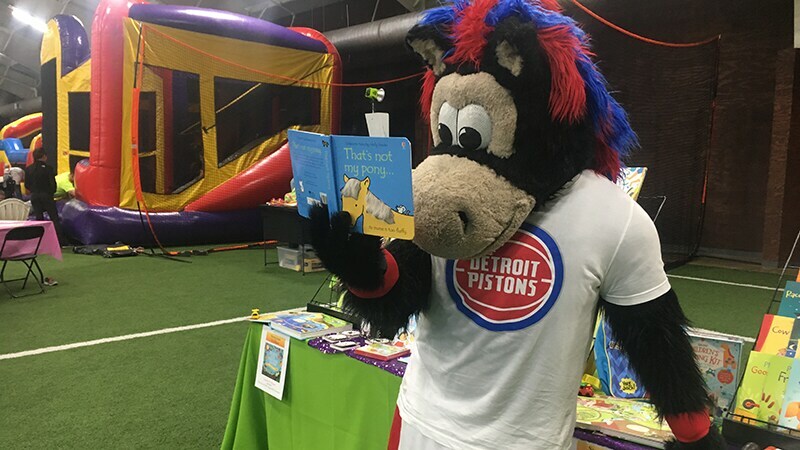 Over the years Hooper has grown, evolved, and become beloved by Pistons players and fans alike. 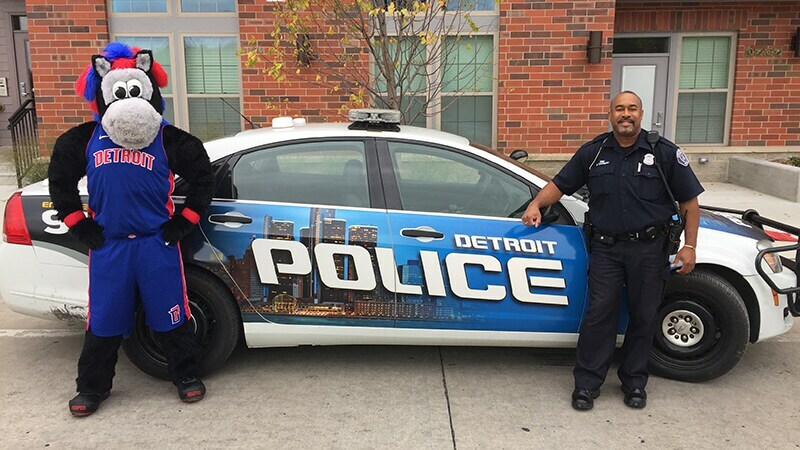 He has undergone a few changes, but he’ll always be Detroit’s Very Own. 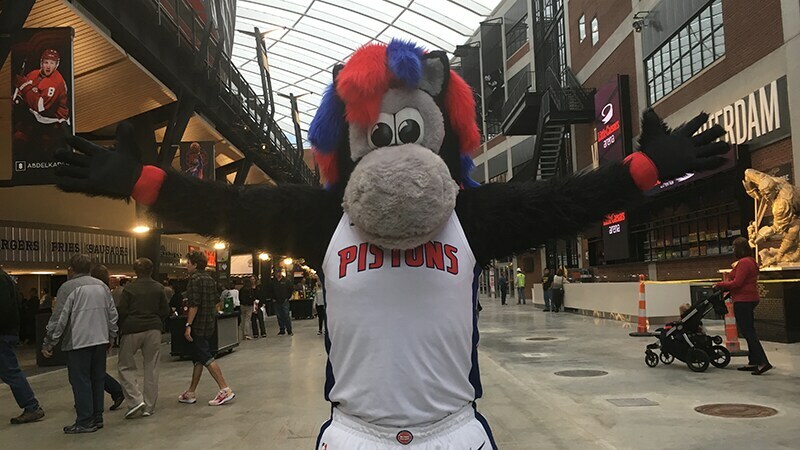 He’s always ready to give you a big hug, pump up the crowd, shoot t-shirts, and add excitement wherever he is. Any questions? We can answer them. Have a wild idea that you’d like Hooper to be a part of? Sounds great! 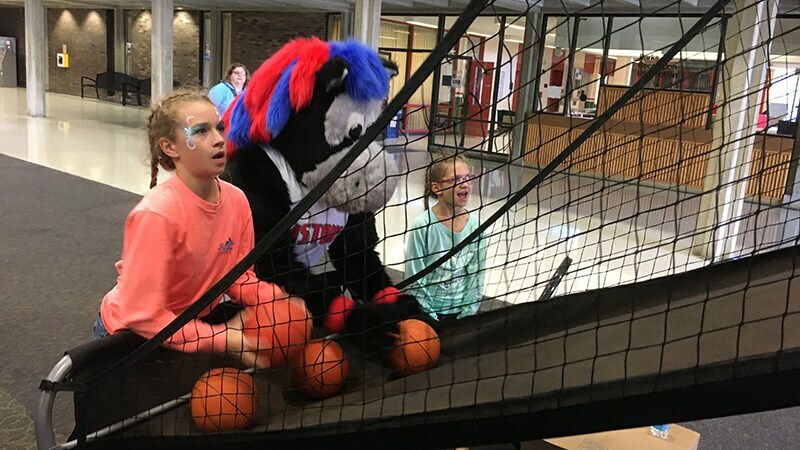 Hooper’s staff works around the clock to keep him constantly moving. 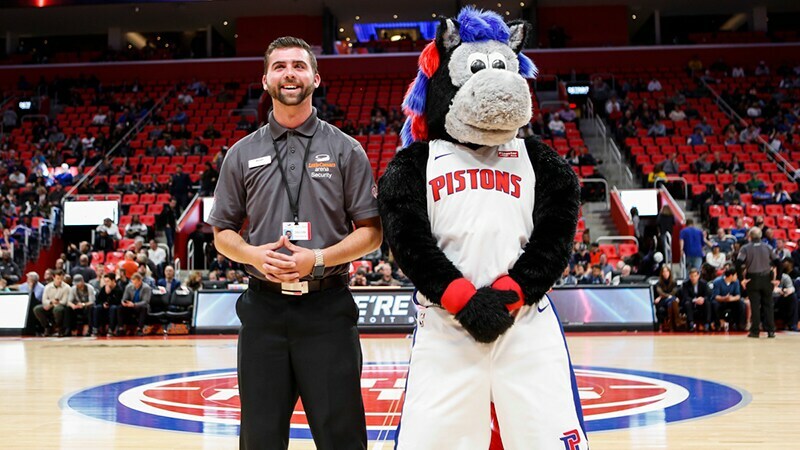 Contact us today and let’s get Hooper to your next event! Contacting Hooper is easy! Any questions? We can answer them. Have a wild idea that you’d like Hooper to be a part of? Sounds great! 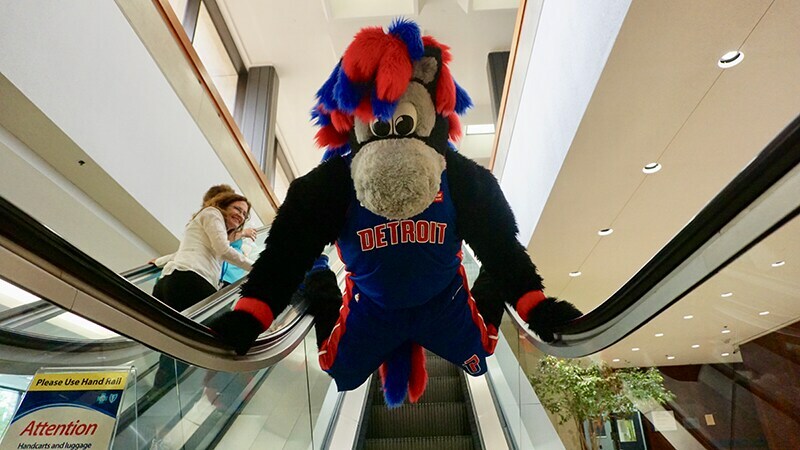 Hooper’s staff works around the clock to keep him constantly moving. 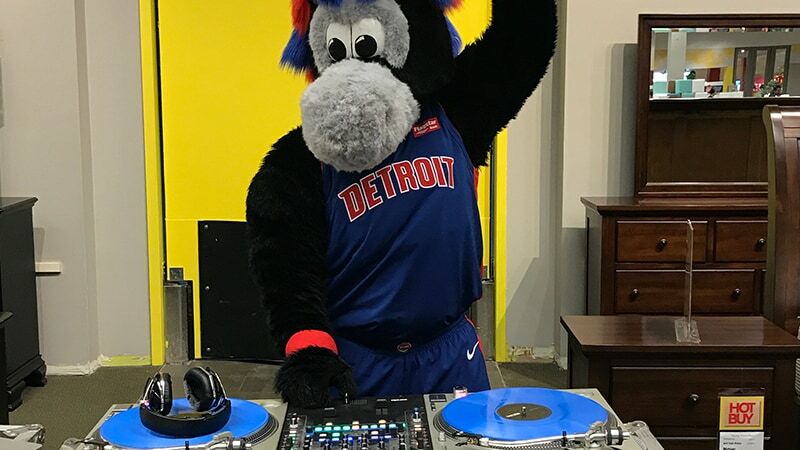 Contact us today and let’s get Hooper to your next event!